Nearly all computers today have two types of storage; volatile primary memory, known as RAM, and non-volatile memory like a hard drive or SSD. Intel and Micron's new 3D XPoint NVM is starting to bridge the gap between these two technologies. In 3D XPoint storage, each data cell does not need a transistor so the storage density can be up to 4 times that of standard DRAM. It offers the incredibly fast speeds and access times of DRAM, but has the capacity of traditional flash storage. 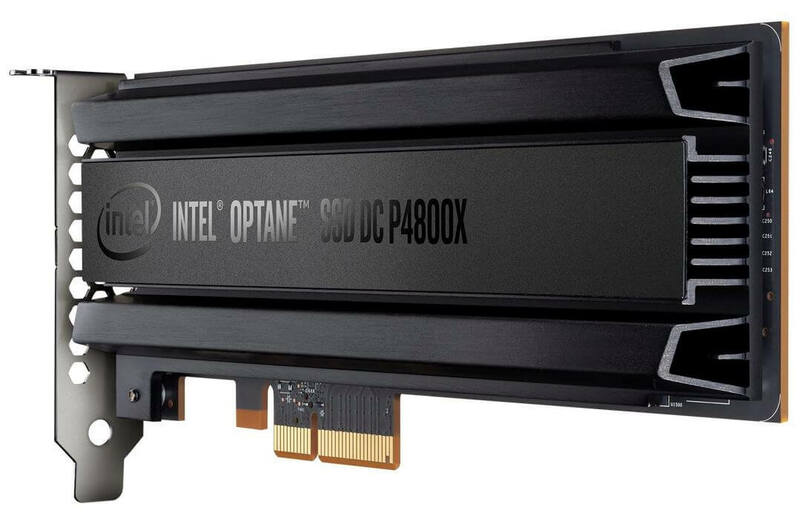 The very first product to feature this technology is a 375GB PCIe based SSD from Intel known as the Optane SSD DC P4800X. It is based on the popular NVMe standard and will retail for just over $1500. There are only limited reviews available now since Intel has been very secretive about the new drive. AnandTech and Tom's Hardware were only allowed to access it through a remote server to Intel's own facility. The technology is still young so there is still ongoing improvements to the software, but preliminary performance results are very impressive. As an overall drive, it is the single fastest SSD on the market. It drops behind a few high end drives in terms of read performance, but 2.5GBPs of sustained throughput is nothing to laugh at. Where the P4800X really shines though is in latency and IOPs. It has about 10x lower latency than previous drives coming in at between 10 and 100μs. The P4800X also delivers about 550k IOPS while current drives offer half of that amount. The new 3D XPoint drives currently don't offer game changing capacity, but their performance definitely destroys the competition. They are the best drive available for heavy enterprise level I/O operations. Don't expect this speed to be coming to the consumer market anytime soon though, but it's definitely out there somewhere on the horizon.